The FA150 is a shipborne Universal AIS (Automatic Identification System) Transponder capable of exchanging navigation and ship data between own ship and other ships or coastal stations. 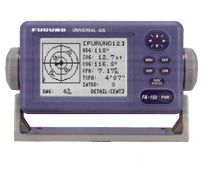 The FA150 consists of a transponder unit and a compact display unit with 4.5″ Silver Bright Display. The compact FA150 display is designed to accommodate a simple and space-saving installation with a user-friendly ergonomic design. 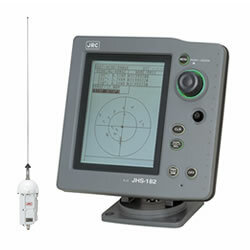 The JHS-182 AIS is a ship borne system capable of regularly broadcasting own ship’s unique information and continually receiving and displaying information broadcast from other vessels. All vessels and VTS operators within VHF range and equipped with an AIS transponder can continually receive and display information from other vessels.